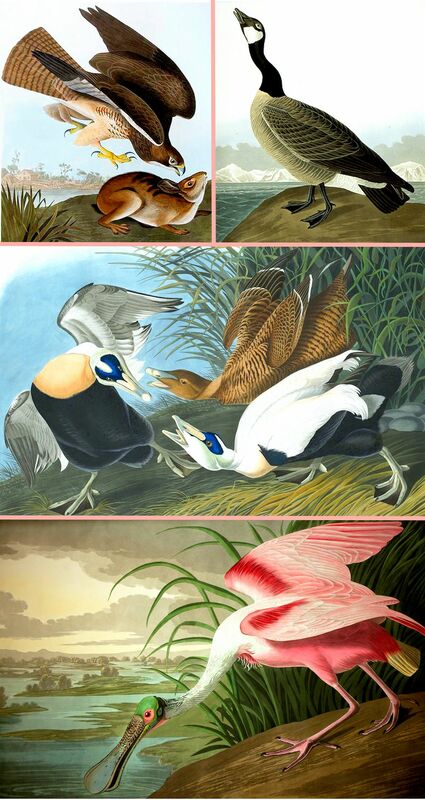 Here are 141 wonderful cross stitch patterns of the famous birds of John James Audubon (1785-1851). These images are PROFESSIONALLY EDITED because unfortunately most of Audubon's prints are faded, streaked, dull and dusty. But not ours! Our graphic designer has spent an incredible number of hours editing each and every image and the results are amazing. Our images are bright and beautiful, meaning your finished work will be spectacular! Check out some of our examples above and see for yourself. The patterns use DMC floss colors.